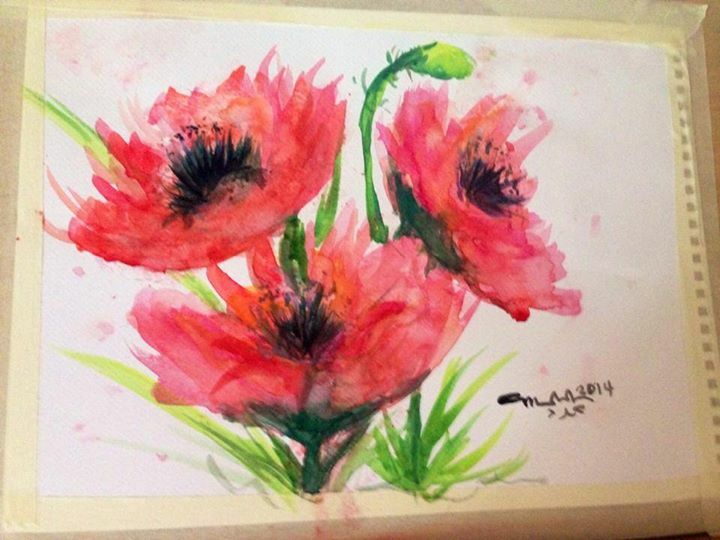 Tried out a new technique and it worked and this is actually the first time I liked a picture of a flower I painted. Watercolor is truly amazing. I loved watching the paint move and make interesting stuff on paper. I loved playing with the color and watch it mix. I experimented also on underpainting. I loved the colors it created on my page. 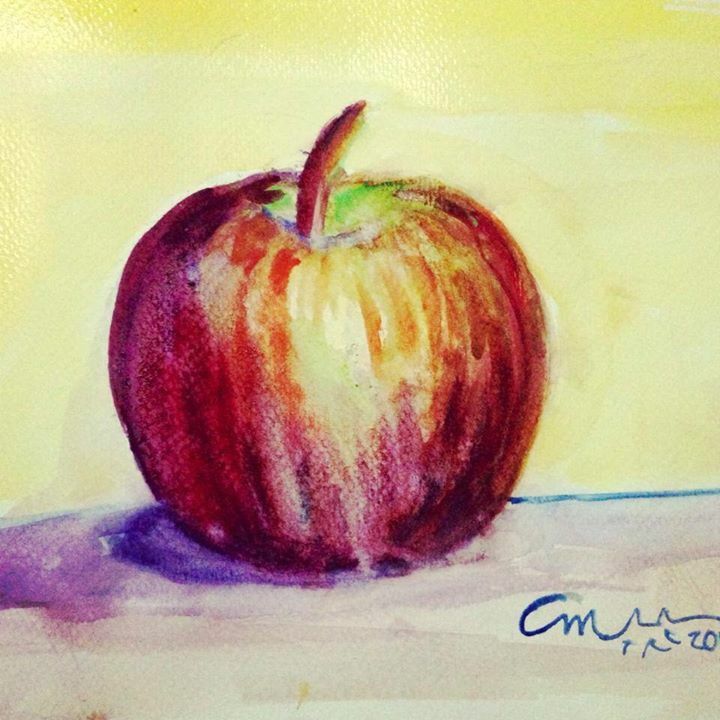 Heres the apple I was working on. Such a pretty bright red apple, don’t you think? 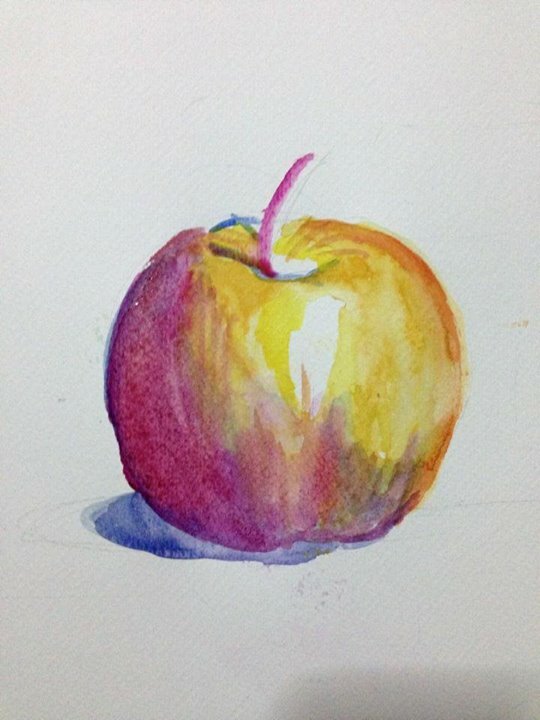 I am still learning techniques and tricks in watercolor. I want to learn A LOT LOT MORE! !